14k white gold necklace with east-west set oval blue topaz, diamond halo, and a single diamond. 18k white gold ring with double row of diamonds on band. 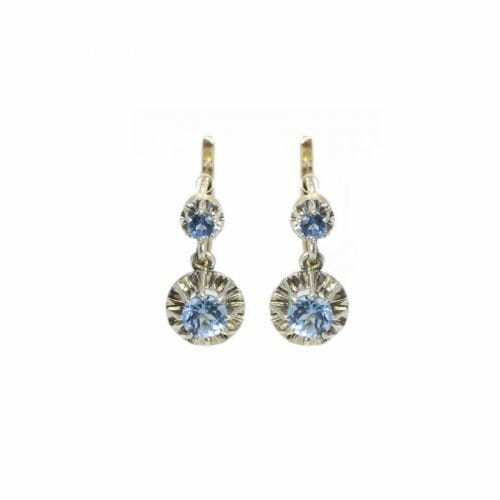 Octagon-shaped blue topaz with diamond halo frame. 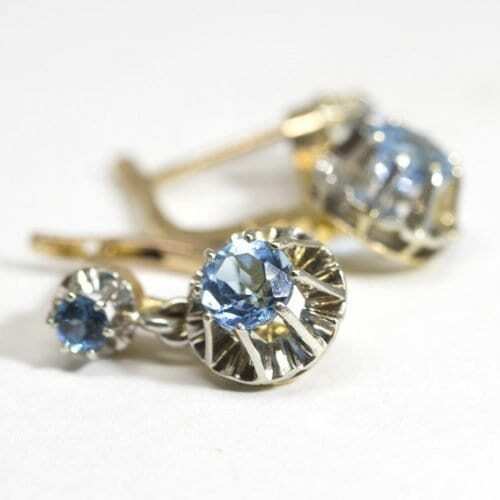 14k yellow gold huggie-back earrings. 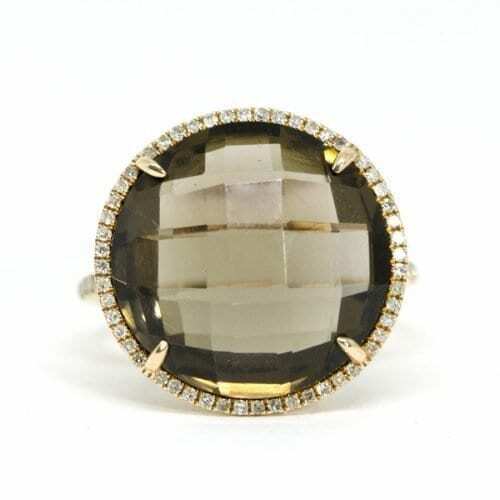 Cushion-cut smoky topaz with checkerboard faceting, and diamond halo. 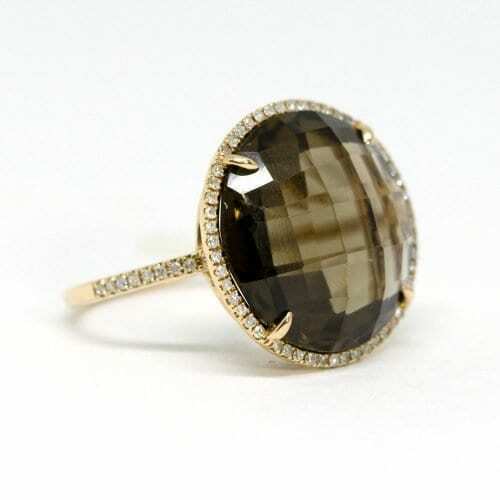 14k rose gold ring with checkerboard faceted smoky topaz. Diamond halo and diamonds on half the shank. 14k rose gold lever back earrings with smoky topaz and diamond halo. Statement Round Smoky Topaz Ring made with 14k rose gold. The center is 13.64 carat smoky topaz with a pave set brilliant round diamond halo. The ring features pave set brilliant round diamonds halfway down the band. There is a total of .34 carats in diamond weight. 14k white gold stud earrings with cushion-cut white topaz and diamond halo. White topaz with checkerboard faceting, diamond halo, and diamond lever back. 14k white gold with black rhodium finish.